The lead actress of SBS’s Monday and Tuesday TV series A Thousand Days’ Promise, Soo Ae’s popularity has increasingly popular. Through the character of Lee Seo Yeon who is suffering from Alzheimer’s disease, Soo Ae shows classic acting, winning the praises from the viewers. Especially the fashion of Soo Ae in the drama has attracted the favor of working women. The OL fashion of Soo Ae is centered primarily with mix and match of natural colors, lined pattern or shirt of simple design plus white, brown or grey color, thus highlights the elegant image. Soo Ae OL fashion in late autumn that is both innocent and competence, what is the secret of its arrangement. 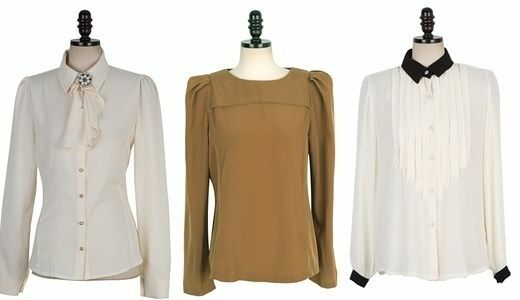 Simple design shirt gives a dignified and clean image. Especially the milky white, white, beige shirt together with short skirt, pant, jacket and other variety of single-product, adding fashion sense while showing casual feel. H-style short skirt that long until the knee is elegant and shows the beauty of female, and in order to show the competence and handsome city sense, it’s recommended to add neat shirt on Western cotton trouser or retro style straight wide pant. In the drama, Soo Ae wore white shirt, beige cotton trouser, pink color straight wide pant, good in showing the agile sense of city. If the simple design of inner jacket is a little dull, it’s possible to embellish with a thin belt on the waist, or replace with shirt with wrinkle design is also a good choice. To create innocent beauty, is there better single product that long skirt? The romantic chiffon long skirt can be popular in summer, but the fashion trend of this fall is pencil-style long skirt that slightly revealed the body figure. 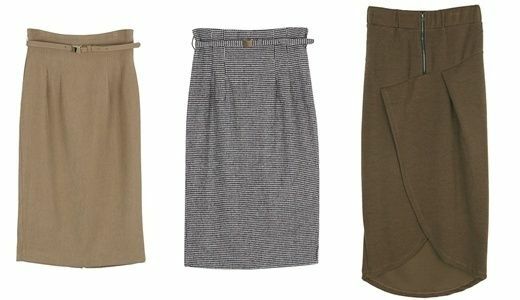 The beige, flesh-colored tulip skirt that becomes popular after been wore by Soo Ae can complement a woman’s intellectual beauty, greatly welcomed by office ladies. Want the style that is cool in late autumn, then it must be long cardigan with noble sense or jacket, coupled with simple base shirt in the inside, and long skirt at the bottom for best result. But please pay attention that long skirt should not be longer till the part of ankle, as this will feel short and gives the feeling of stuffy to others, the length to slightly below knee is best. If you want a pride and competent dressing, the knee-length H-style long skirt is superior than long skirt. Everyone has a wind jacket, long jacket is an indispensable fashion essential during change of season. Coat not only can keep warm, but can also match in variety with formal wear and casual wear, the advantage of practical usage and easy to match made it has no distinction of age, and widely loved by many women. If already bored with basic windbreaker, can try to challenge long jacket. Long jacket of wool material is light and has good effect in keeping warm, is also suitable to use as one wishes even in winter. If the shirt and skirt fashion is natural colors, then the jacket has to be in black, white or grey color adjustments, then there will be even more stylish beauty. Elegant and at the same time without losing the unique character, it’s recommended to select long jacket with no lapel design. The kind of jacket matches with simple shirt and H-style mid-long skirt or single color round neck one-piece dress, can show a female beauty that is elegant yet pride.